Amaozara village in Alayi Bende LGA is a common village in Alayi of Bende LGA (Local Government Area) of Abia state, south-eastern Nigeria, the town is north of Afo-Ukwu, east of Amabo, west of Umu-Enyere and about 373km south Abuja the federal Territory of Nigeria. The name Amaozara is also a place in Igli district of Ebonyi, in Nnsuka, Enugu and is also found in other places. Amaozara is one of the 19 villages that makes up Alayi in Bende local government area, the village is divided into four compounds which are Ezi Egwu, Ezi Okoro, Ezi Uhu, and Ezi Ukwu. The village is not too big but has some natural beautiful site that is important to mankind, such as forest, hills, spring water, lakes and ponds. The populace living in this village are mostly farmers, fishermen, bricklayers, traders, and motorcycle riders. The farmers here are very hard working and takes advantage of their land the village like Ugwueke village also have high produce in vegetables of all kinds, cocoyam, cassava, maize, and yam. The people have special market days know as Eke, Orie, Afor, Nkwo in the Igbo language, which they take their crops to the market for buying and selling. Amaozara barely has a well-constructed road, though civilization is gradually taking place in this land, the village benefit from Electricity and a nearby hospital and hotels in the nearest suburban areas. The village also has a primary school and is close to NYSC Imunna Bende LGA with some kilometers. However, the youth in the community are doing their best to make their village attend a better height. The food mostly consume in this village are indeed green in nature it makes them stronger and vibrant to carry out their daily activity, some of the foods are Orha and Egusi (Melon) soup, Ukwu (vegetable) soup, Bang soup, Boli (Roasted plantain) Yam pottage, Yam porridge, Fufu, Rice, etc. no man in Amaozara village ever stays hungry even a child less than 12years old can take advantage of their land and provide himself with food. The most spoken language in this village is Igbo, English also has a place but it not effective, the kind of English spoken is called Broken English, Ibibio, French, Togolese, and Ghanaian languages are also heard in minor as a result of the migrant who comes to the village for a purpose. The people of this town speaks Igbo language, English, and other Nigerian languages which are as a result of the migrants from other cities like Yoruba, Efik, Ibibio, and Hausa. Amaozara which is a village in Alayi of Bende LGA whose traditional ruler are giving the title Igboji, the elderly men in this village mostly worship an Idol called Ogbaegbu which was inherited by their forefathers. The village has a strong tradition and culture, the most celebrated festival is the New Yam Festival which is also celebrated in most place in Nigeria, however, Amaozara does its thing in a unique way. The festival comes up every August accompany with a different style of dance in the village like Akpaniko, Ekpo, Oboni and Okonko. In the town of Alayi other dances such as Edere, Enyom, Ikoro, Okuku, Oborri etc. also take place during the year. Though Christianity is playing an important role in the village as many of the indigenes are now going to churches like Methodist and Catholic. 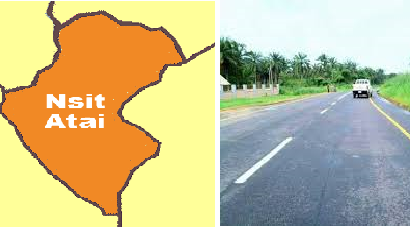 The village is rich in natural resources and will be good for investors to come in and explore the land, the village is not too far from Aba, Umuahia, Abiriba and one can also find its way to Owerri Airport which is considered as the closest Airport to the village.